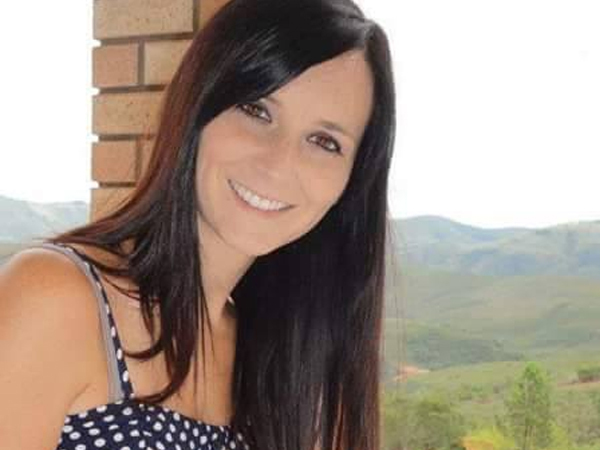 Blood was found in the boot of a hired car police have linked to the disappearance and murder of school teacher Jayde Panayiotou, the High Court in Port Elizabeth heard on Friday. Zulfa McCarthy, also known by her Muslim surname Soknara, of ZEMS car hire, testified that Sizwezakhe Vumazonke rented the Toyota Etios from her on March 9, 2015. The suspected hitman presented an identity document and a bank statement for proof of residence, and paid R3 560 cash on the first day of the hire. Prosecutor Marius Stander quickly extracted a trail of payments for the hire of the Etios, and a Polo Vivo Vumazonke upgraded to. Jayde’s husband Christopher, Sinethemba Nenembe, and Zolani Sibeko are on trial on charges of conspiring, kidnapping, robbing, and killing the schoolteacher on April 21 last year. They pleaded not guilty. Vumazonke, believed to have been hired to kill Jayde by State witness Luthando Siyoni, died in prison on September 7. Vumazonke was arrested in the Polo in May. Detective Warrant Officer Johannes Botes from the Mount Road Vehicle Theft Unit went to see McCarthy/Soknara because the car was registered to her address. Vumazonke seemed to have had a premonition that he was about to be arrested, because he asked a friend to keep his phone for him just before police pounced. When Botes was discussing the Vivo with McCarthy/Soknara, he found out that Vumazonke had also hired the Etios. McCarthy/Soknara showed Botes the Etios’s tracking details, and became upset when she realised one of her company’s vehicles might have been used in Jayde’s kidnapping. Police took the Etios for forensic examination, and found blood in the boot, Stander said on Friday. It was later returned to ZEMS and put back in circulation as a hire vehicle. Jayde disappeared from outside her home in Kabega Park, Port Elizabeth on April 21 last year while waiting for her lift to her school in Uitenhage. She was found dead in a field near KwaNobuhle the next day.